Bowmen of Adel | We are a friendly archery club located at the Adel War Memorial Association in Adel, North Leeds (England). 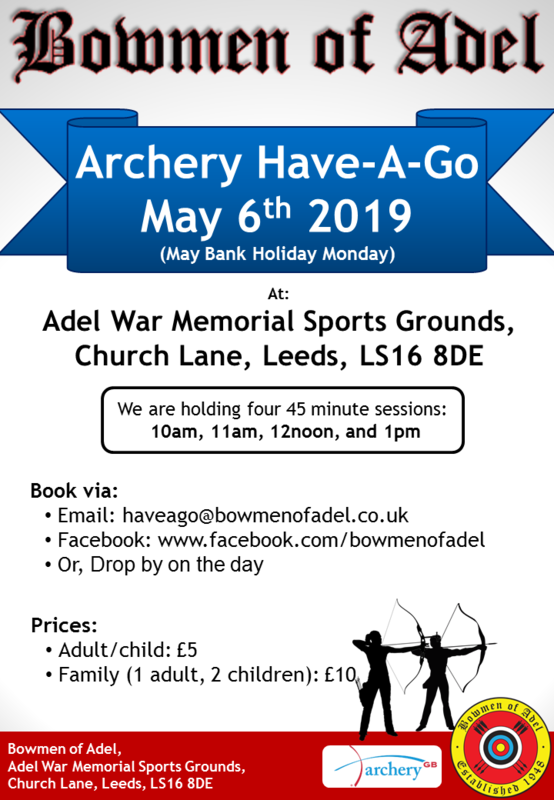 Bowmen of Adel – We are a friendly archery club located at the Adel War Memorial Association in Adel, North Leeds (England). Saturday 9th March 2019 at Barnsley Archery Club, Barnsley Rugby Club, ShawLane, Barnsley at 10.30am. UPDATE: The Frostbite has been pushed back to the 16th.